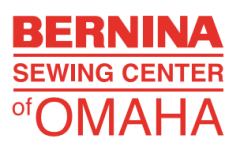 Master your BERNINA machine guide classes. This is for touchscreen machines. Call the store to see which level you need and which day it is offered. 402-572-1212 Cost of class is included in the purchase of your machine if you bought from us, otherwise cost is $50 per session. Learn to use rulers to help you quilt with your home machine. Come into the for a supply list. You will work on a project and there is a kit fee.